The chapel organ was provided by Charles Quarles in 1708, although there is a long-standing tradition that it was actually built by Bernard Smith. In the course of time the instrument was rebuilt and enlarged many times, and the fine casework was altered to accommodate it. In its final form, the organ had become so heavy that the gallery was in serious danger of collapse, and additional supports had to be introduced whilst decisions were taken about the its future. 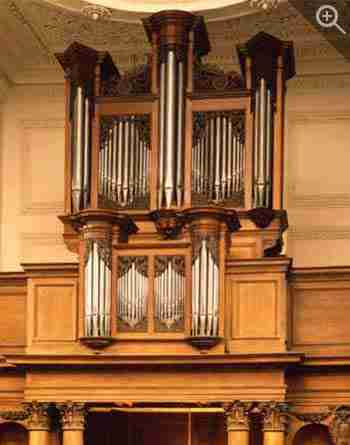 The interior of the present instrument is all new, with the exception of the five ranks of pipes which still contained 1708 material. 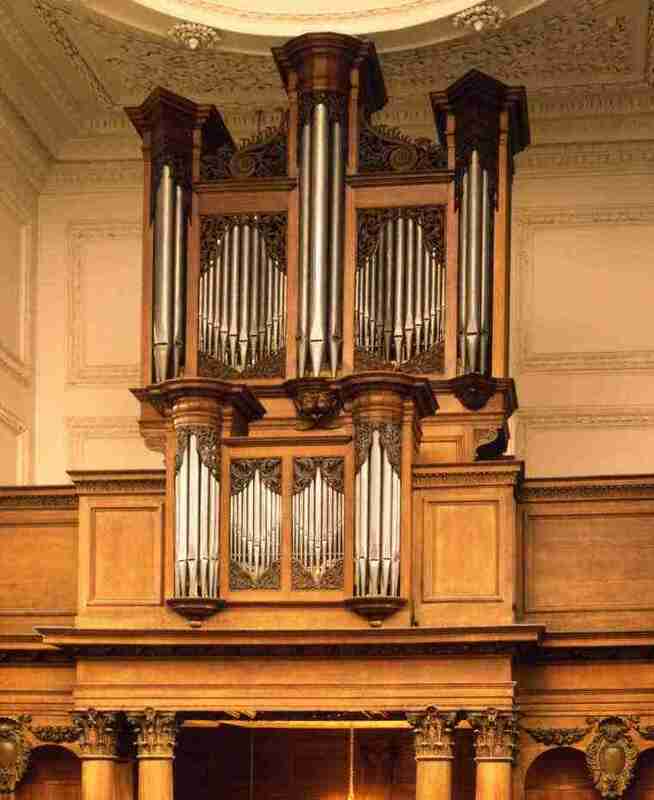 These have formed the nucleus of the rationale for the new organ, which is an exploratory attempt to recreate the spirit and style of a late seventeenth or early eighteenth-century English organ. The scales of the new pipework have been devised in the light of research into surviving organs believed to be by Smith. The new soundboards are entirely of English oak, as are the rollerboards with their octagonalrollers. The casework has been carefully restored to the original dimensions with painstaking research into the material that survived, to ensure that the size and style corresponds as closely as possible to the original. There is a possibility that the main case was an already existing entity as a one-manual organ that Charles Quarles utilised, but not from Pembroke Chapel itself. The design of the Chaire case is most unusual, and it is the opinion of John Mander that this was made up from fragments of an older four-tower case. When completed, this was for some time the only serious attempt made to recreate an early English church organ (as opposed to a chamber organ). It has generated a great deal of interest into this genre and has been the subject of considerable discussion. In addition, it has thrown some light on the performing practice of the time, an area which still holds many secrets. The two large diagonal reservoirs stand behind the organ, beneath the new free-standing case enclosing the Pedal section - an addition made for obvious practical reasons. The sizes of the bellows correspond to contemporary descriptions, and although blown electrically the wind is supplied through a third regulating bellows to remove the effect of the electric blower as far as possible.